COMICO Art House is a company-owned resort and recreational facility developed for their employees. It is built next to the COMICO Museum, which we divided into three buildings because we aimed to form a small village along the river. There is no clear boundary between the museum and the rest house, as we wanted to create a loose cluster by integrating the private and public zones between art and nature. 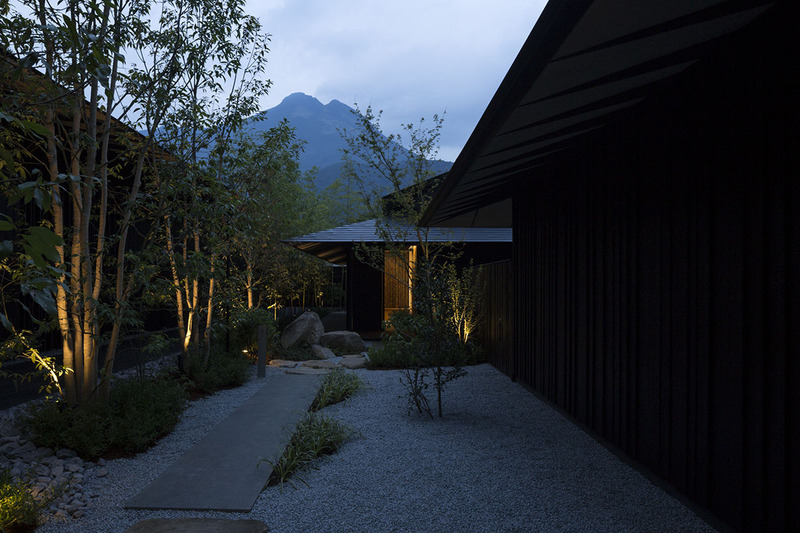 Special attention was paid to the layout of the buildings and distances in order to secure the best view of Mount Yufu from each garden or open-air bath. Thus the roofing too emphasizes these views with thin diagonally arranged steel plates (like a flight of wild geese) toward the mountain. The interior of each building employs wood, earth and bamboo respectively to explore the potential of the material there.